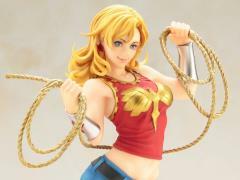 Wonder Girl joins Kotobukiya's Bishoujo lineup of Super Heroes and Villains based on characters appearing in DC Comics! 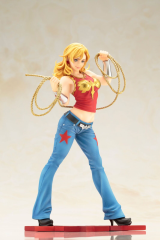 Wonder Girl looks great in her classic outfit: a strap shirt with her symbol and starred blue jeans fastened with a buckle shaped like her logo. 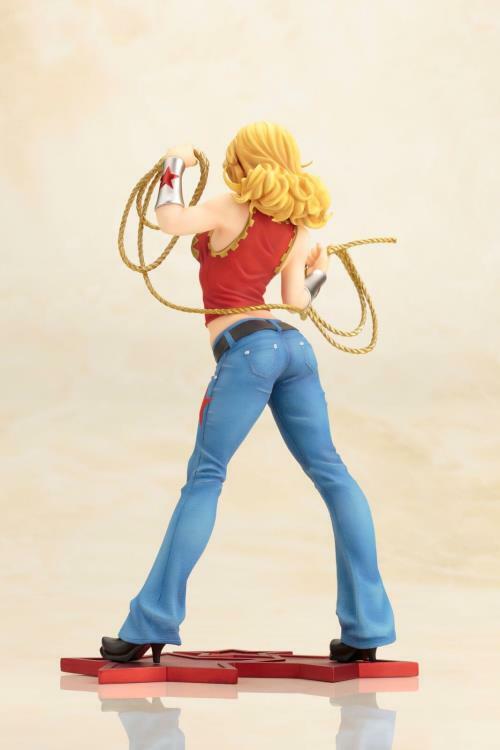 Wonder Girl holds her lasso at the ready, and looks great on her own and even better alongside other Bishoujo statues like Wonder Woman or Starfire! Cassandra "Cassie" Sandsmark is the daughter of Dr. Helena Sandsmark and the Greek god Zeus. Cassie spent most of her time at her mother's work at the Gateway City Museum of Antiquities, where she had a penchant for getting into trouble. She quickly befriended her mother's new employee, Wonder Woman, and was eager to help her. 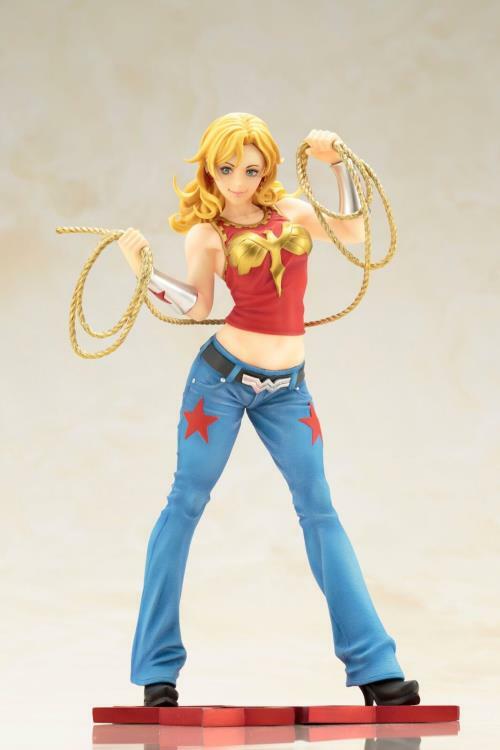 During a fight with a Doomsday clone and another battle with Decay, she created a costume and used magical acquirements (the Sandals of Hermes and the Gauntlet of Atlas) to help Wonder Woman, much to her mother's horror. Cassie later had the opportunity to ask Zeus for a boon, and requested real superpowers. Zeus granted her request, but gave Dr. Sandsmark the ability to deactivate them. Dr. Sandsmark, however, reluctantly accepted her daughter's wish to be a superheroine and rarely if ever uses this ability.